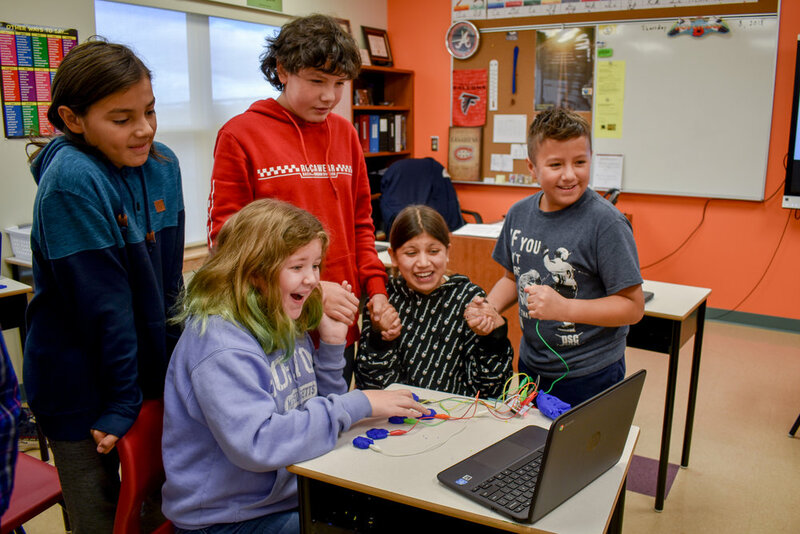 Digital Mi’kmaq is a groundbreaking new initiative that delivers ongoing STEM focused educational programs, hands-on digital curriculum, and continuous learning opportunities for Indigenous children from Grades 4 to 12. Our educational team is comprised of a diverse group of extraordinary professionals dedicated to ensuring that a new generation of Indigenous children have both the skills, the knowledge and the access they need to flourish equally in today’s job market. During our first year of operations, Digital Mi’kmaq delivered STEM focused programming to more than 8,000 students on reserves across Nova Scotia, hosted a variety of high profile national events, trained dozens of educators and set up permanent Digital Maker Labs on reserves across the province. From Robotics to Big Data, Computer Science to Artificial Intelligence, Animation to 3D Modeling, our hands-on curriculum employs a 3 to 10 teacher/student ratio and exceeds the educational outcomes set by the Educational Ministry in Nova Scotia. As we move forward into our second year, Digital Mi’kmaq will be scaling up with summer and after-school programs in addition to extending our program to other Indigenous communities in Canada. Check out the progress we’ve made in our quarterly reports below!